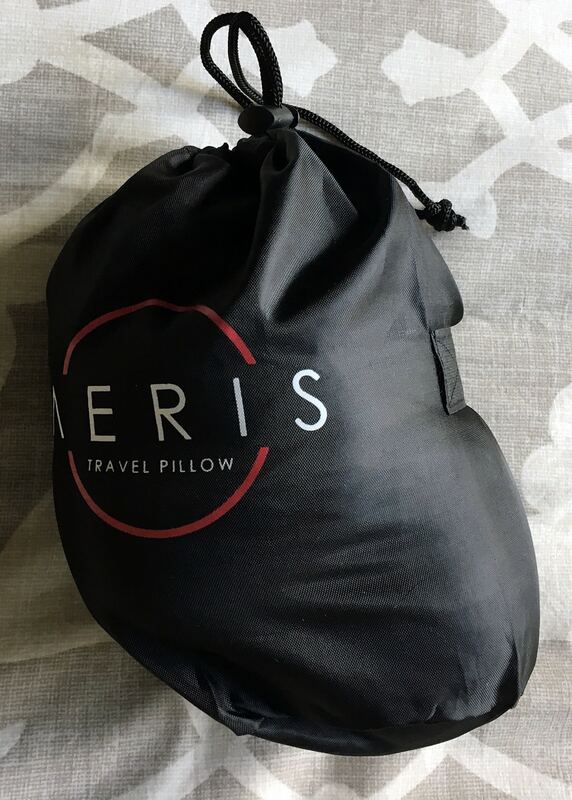 Aeris Memory Foam Travel Pillow Review- Good Choice For You? 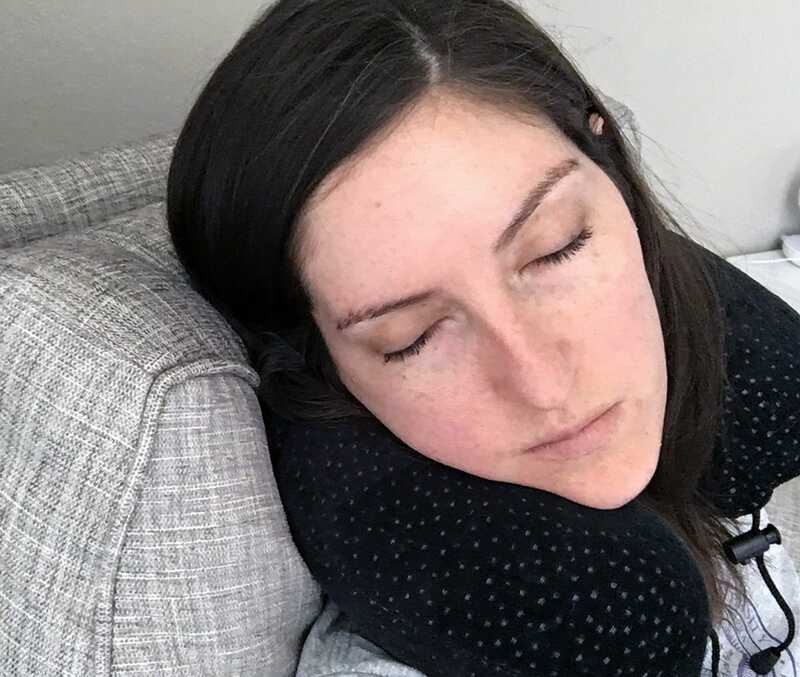 At first glance, it may be easy to write off the Aeris Memory Foam Travel Pillow as another standard neck pillow. But the pillow has some bells and whistles that may do just the trick. Read on for my full review. Each pillow is aerated for 7 days to allow the odor of newly manufactured memory foam to dissipate. 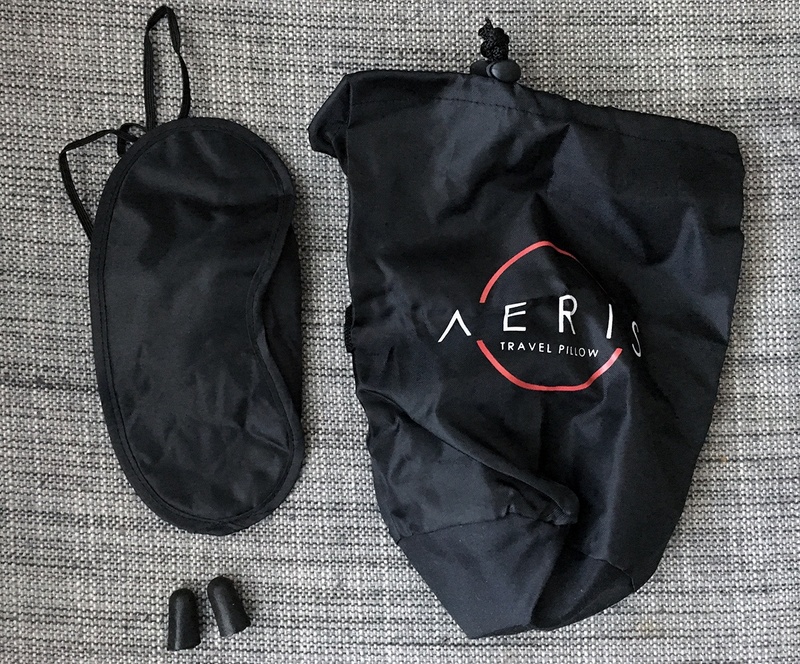 See how Aeris compares on my best travel pillows page! 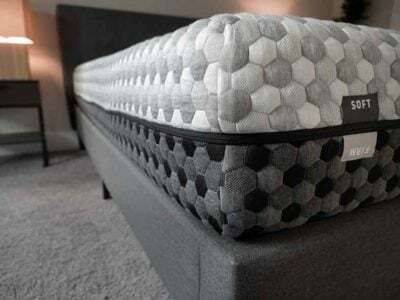 Toggle connector does not tighten enough for the ends of the pillows to touch each other – left some room and additional tightness unavailable. 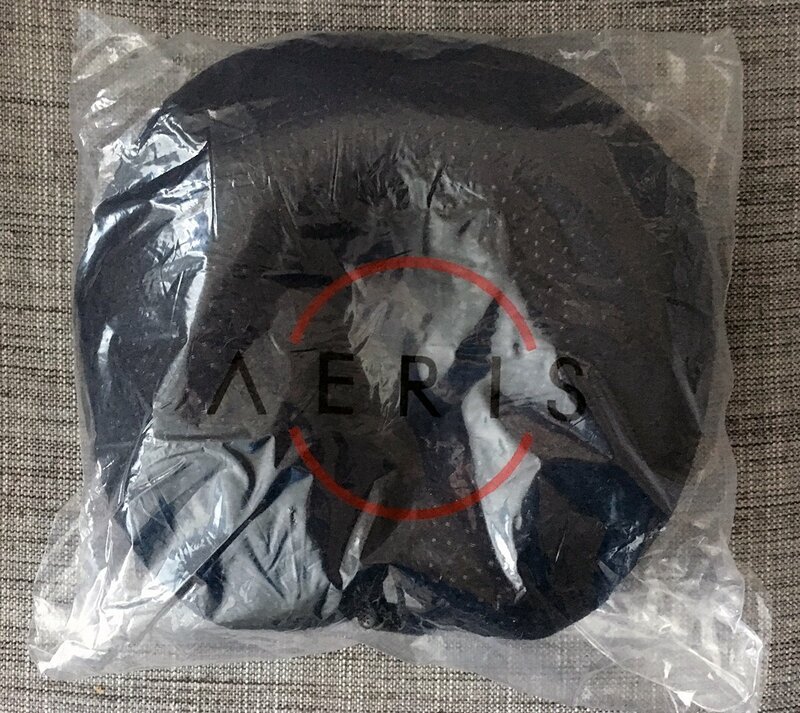 When you open up the Aeris Memory Foam Travel Neck Pillow you quickly realize you not only received a neck pillow, but also a small travel package of goodies as well. My pillow came with a travel case, sleep mask to block out the light, and two black foam earplugs. In my opinion, this pillow is comparable to the Travelmate Memory Foam Neck Pillow and the Comfort Master Pillow from Crafty World. All three offer soft, plush u-shaped neck pillows and each have their own identifying features that set them apart. There seems to be some missing information with this travel pillow. My package had information about the pillow and no care instructions attached to the pillow. And even after a decently extensive google search, I couldn’t find a website for Aeris. On Amazon, all I could find in terms of care instructions were that you could machine wash the removable cover. Nothing about drying – so I just decided to tumble dry on low. For someone who is weird about collecting germs on planes and trains, I was so happy to see that you can just remove the cover and throw it in the washer. With the Comfort Master travel pillow, you could only hand wash and dry. For me, throwing it in the wash is the better option. Quick note: The plastic pieces of the toggle that act as connectors to the end of the pillow will bang around loudly in your washer and dryer. There are also no instructions on the packaging, or online, about how to compact the pillow and get it into its tiny travel bag. The only information on Amazon is that the bag should allow you to compact the travel pillow into half its size. I just tried to roll the pillow up in a sort of “sleeping bag” style type of strategy. This barely gave me room to get the pillow into the bag. The memory foam is firm so it’s not as forgiving when you try to squish it down. The actual foam portion of the pillow has aerated holes in it (I am guessing that has something to do with the pillow’s name). It is not exactly clear why the pillow was designed that way and what purpose it serves, but it is unique! The removable pillow cover is velour and feels plush. 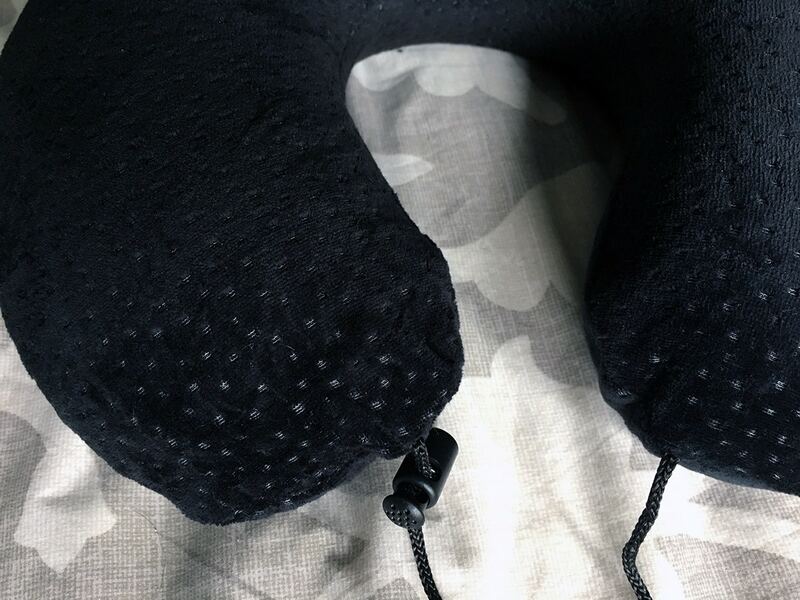 It has a small pattern on the cover fabric that gives it a different look from other u-shaped neck pillows I’ve reviewed. 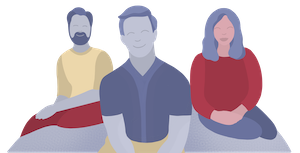 This neck pillow suffers from the same flaw as many others I have tried – the thick foam in the back of the pillow causes your head to be pushed forward in high-backed chairs. 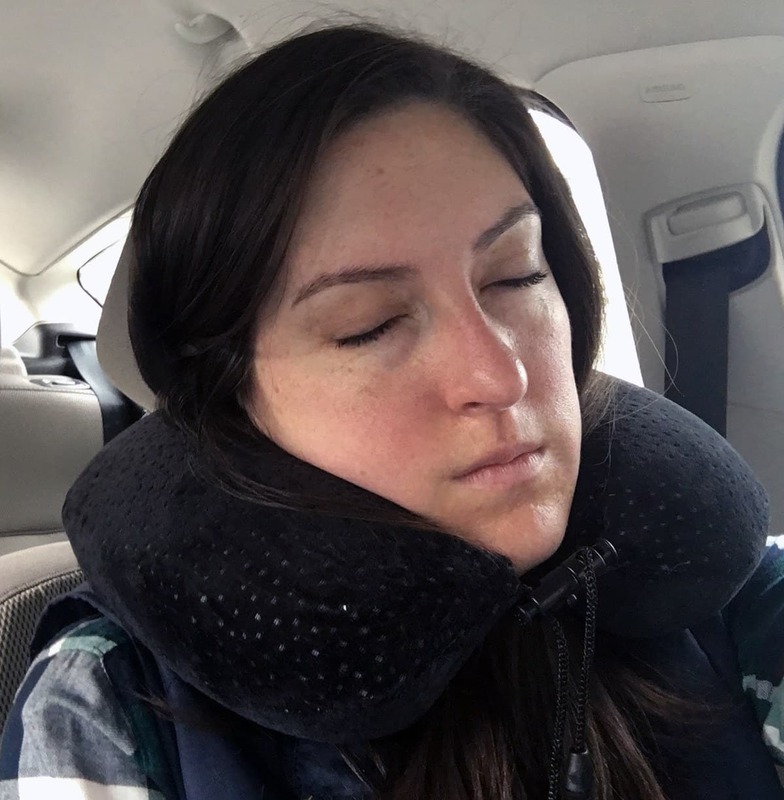 The TravelMate neck travel pillow and the AirComy pillow both have flat backs or options to remove a piece of foam which alleviates that issue. I found this pillow to be the most comfortable when I was in a low-back chair. 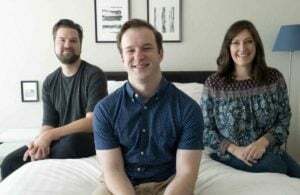 My head wasn’t being pushed forward and the pillow provided me with the right amount of firmness and support. I’m just not sure how often I would find myself needing a neck pillow in a chair like this. It was less comfortable to me in a car. My head was pushed forward in the headrest and there was not enough support on the sides of the pillow. When I placed my head to the side it touched the window but left a gap in support for my neck that the pillow just couldn’t fill. 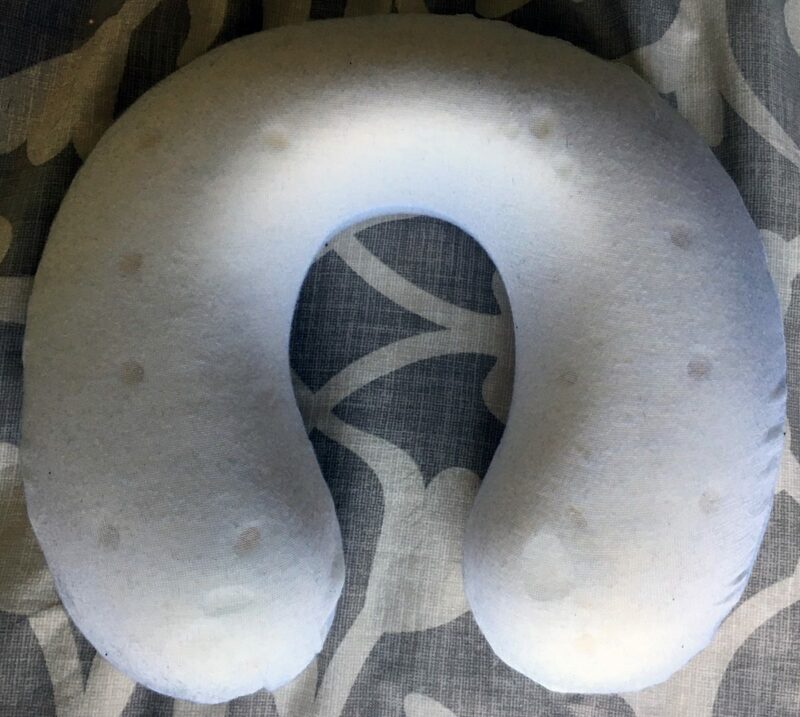 The Aeris Memory Foam Neck Travel Pillow is shaped like your standard u-shaped neck pillow but it has a connector that allows you to adjust the pillow around your neck. 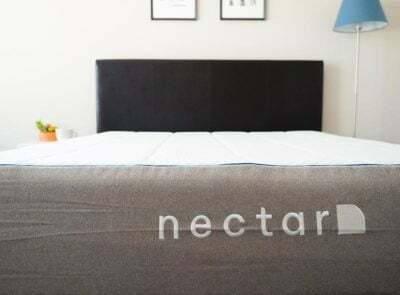 Its aerated memory foam is very firm (almost too firm for some). It can be condensed and the plush cover is removable and washable. Overall a good value if you like the look and feel of a neck pillow. The main complaint that was echoed by many reviewers is that the memory foam was just too thick and too stiff. If you like extra support and firmness in your neck pillows than this could be a good fit. 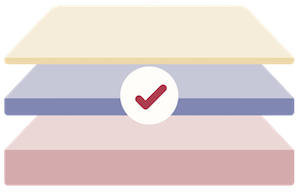 Another complaint was that the memory foam in the back of the pillow pushed your head forward in high-backed seats (like those on a plane). The pillow is fairly affordable. All four colors are sold on Amazon.com for $24.90 (off of a $32.90 original price). I think this pillow is a good fit for people who already like the support they get from a traditional u-shaped neck pillow. 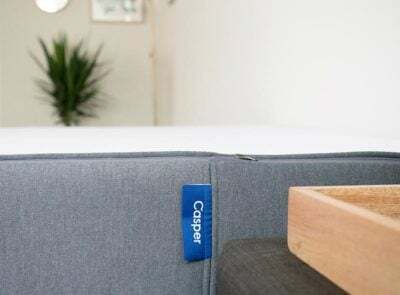 The connectors allow you to keep the pillow on your neck and the removable cover is soft and easy to clean. 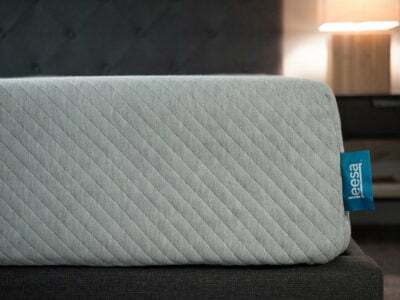 For these reasons, I think people who like this type of pillow will benefit from the Aeris Memory Foam travel pillow.